Some discounts may be in lieu of low APR offer from MCS. Price is plus tax, title and license and dealer service transfer fee and any dealer installed options. See dealer for details. Priced below KBB Fair Purchase Price! 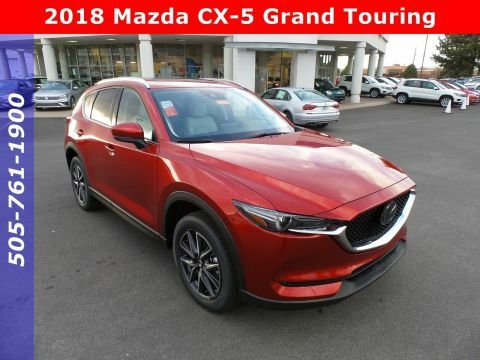 2018 Mazda CX-5 Grand Touring AWD 2.5L 4-Cylinder 6-Speed Automatic24/30 City/Highway MPGLocated in Albuquerque, but serving Rio Rancho, Santa Fe, Farmington, Las Cruces, El Paso, and Durango.